The PVP 3.3 release retains all enhancements in the previous 3.2 software, including synchronization, control, and management functions, along with increases in I/O signal density, simultaneous 4K/1080p playback from the same workstation, and NDI support for IP-networked environments. 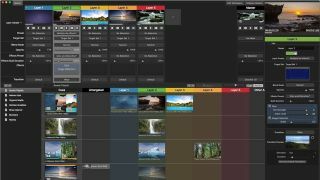 The What: At NAB 2019, Renewed Vision will debut live production enhancements for two of its flagship applications, PVP and ProPresenter Scoreboard, serving a broad global customer base across the broadcast, sports, and commercial AV markets. Renewed Vision will demonstrate both systems at its new South Lower Hall booth location (SL7427). Users will also now be able to review entire outputs on external displays via expanded preview capabilities. The PVP 3.3 release retains all enhancements in the previous 3.2 software, including synchronization, control, and management functions, along with increases in I/O signal density, simultaneous 4K/1080p playback from the same workstation, and NDI support for IP-networked environments. First introduced in 2016, ProPresenter Scoreboard is a multi-sport score presentation software platform used widely in high school, college and professional sports, as well as youth league organizations. Multiple, independently controlled areas of the screen integrate scores, live video feeds, pre-recorded video, targeted advertisements, player profiles, dynamic statistics, externally sourced data, and more into immersive visual productions that enrich storytelling, engage fans, and drive revenue. The Bottom Line: Building on Renewed Vision’s 18-year experience in working on live events, fixed installations, and video-based sets, PVP3 has been designed to power any production with video displays of any type, size, and resolution. ProPresenter Scoreboard combines Renewed Vision’s visually rich outputs with robust features and tailored user interfaces purpose-built for driving advertising-enriched, video-based LED scoreboards.